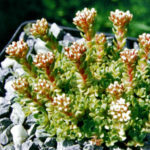 Crassula obovata is a small Crassula species, similar to Crassula setulosa but differs in having longer petals and branches longer than 8 inches (20 cm). 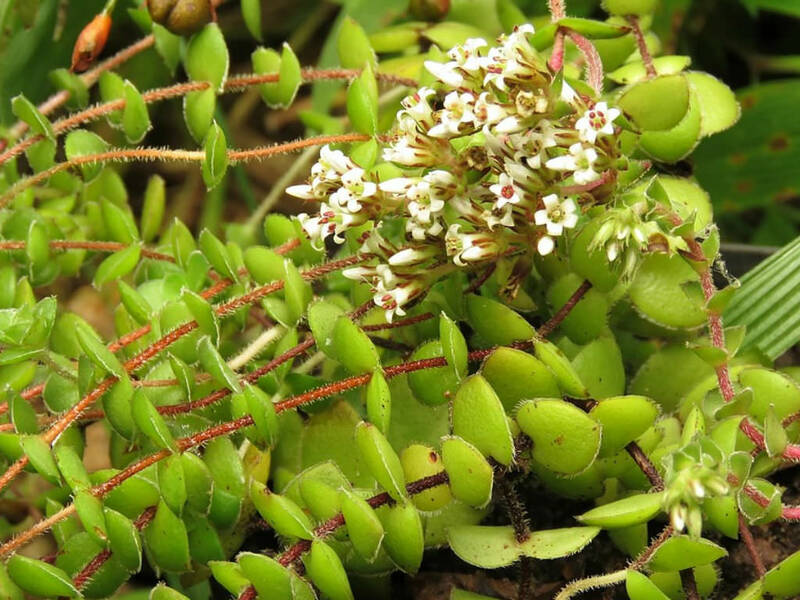 The stems are purplish-red against which the bright green, somewhat succulent leaves gleam. 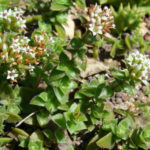 The leaves are small, up to 0.4 inch (1 cm) long and wide, edged in red, or overall red in a hot, dry season. 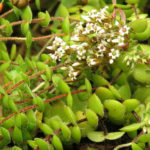 Leaf tips are blunt or can end in a point, are either hairy or hairless. 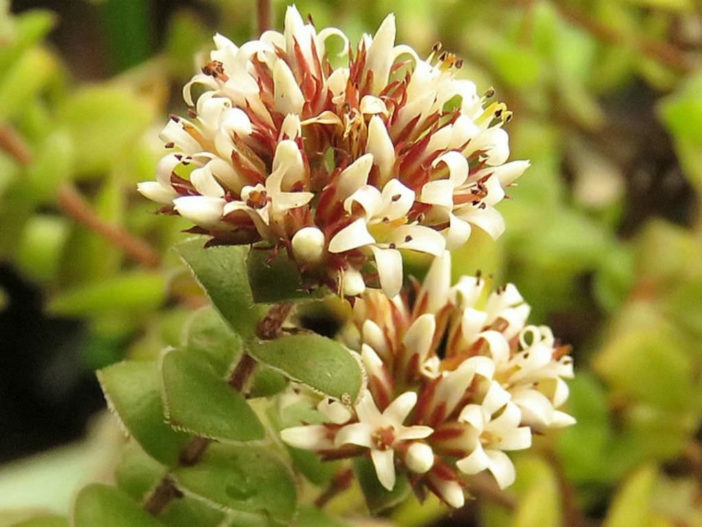 The flower heads are made up of a few short white to cream tubes that open to flat-topped heads that curl back. 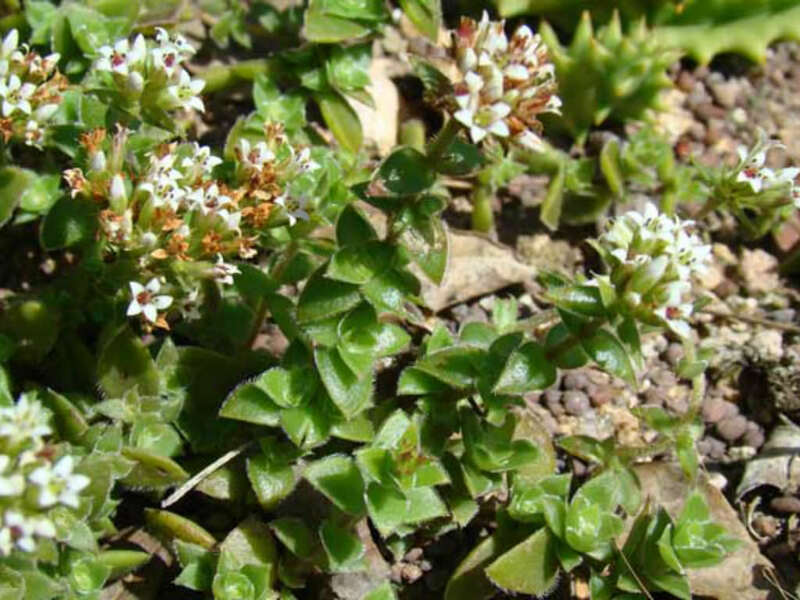 Flowering occurs from December to June. 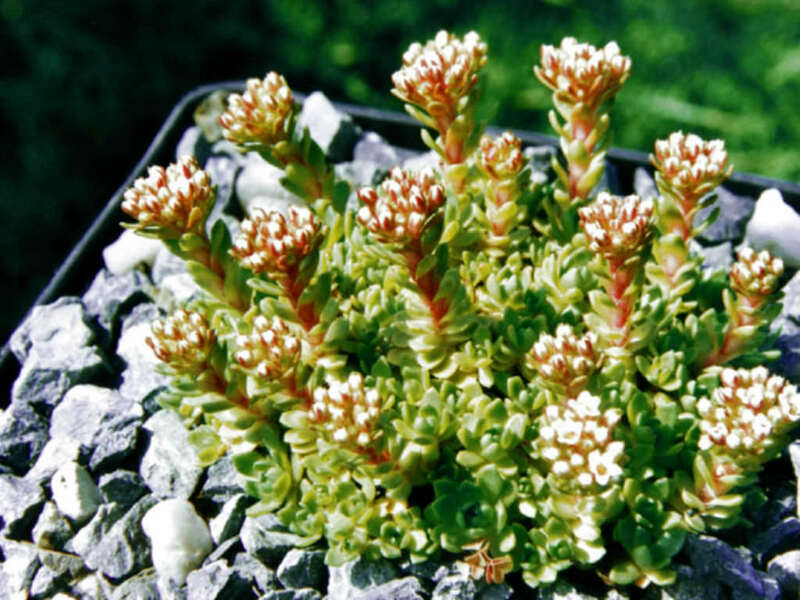 Crassula obovata is native to South Africa (KwaZulu-Natal and Cape Provinces).